Enjoy workouts that will make you sweat from local instructors and samples from participating stores. Looking for a challenge, attend all three workouts and be entered to win a $200 Bellevue Collection gift card (must be present to win). Mix fitness and shopping. 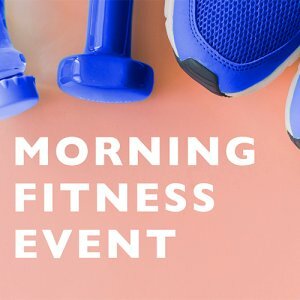 After you, tone and sweat, visit your favorite athletic stores Athleta, Fabletics, and lululemon athletica for special offers on athletic wear for your next workout!